This topic contains 1 reply, has 2 voices, and was last updated by RobHeffo 3 years, 8 months ago. Based on the script by Pixel_K, here is how to set up local RRD graphs for your uradmonitor on a local linux system. I have originally done this directly on my pfsense router, but it turns out this is not a good idea. Since my pfsense router boots of a Compact Flash memory card and does not have a harddisk, it replaces its file systems on each boot and only preserves very selective data when upgrading the system, removing my installation on reboot/upgrade. However, I installed Ubuntu Linux on an old small PC, which I set up mainly to do backups. Get this script working first! Replace your IP number in the URL of your uRadMonitor. Run with sh curr.sh. 8C8C8C --color MGRID#000000 -v \"cpm\" --alt-y-mrtg --width 600"
GPRINT:cpm:LAST:" Last \: %5.1lf \l"
Again, adjust your URL and paths, if necessary. Run manually using sh update.sh and check that png files in /var/urad/graph are generated and updated. 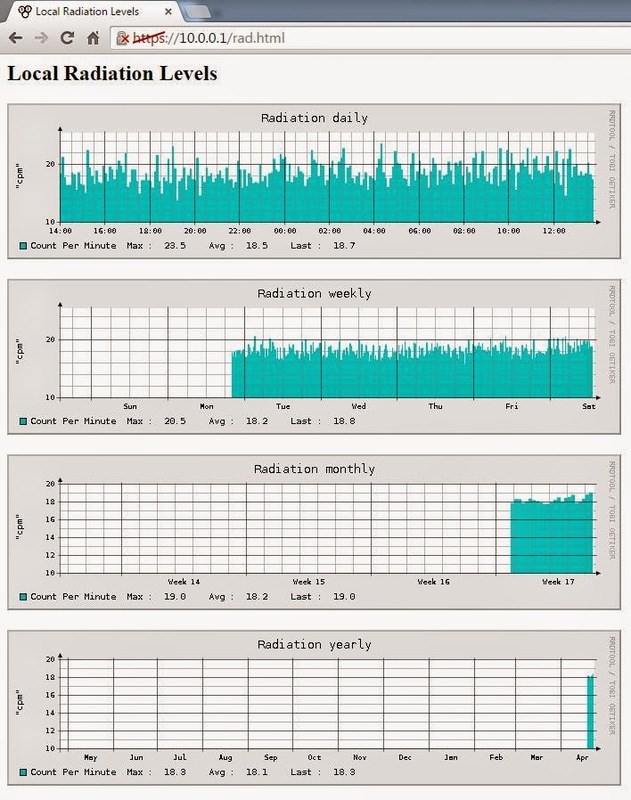 You should be access your uradmonitor RRD graphs on your webserver at http://your_ip_number/urad.html. Thanks to Pixel_K for figuring out the rrdtool commands, so that we don’t have to! The attached ZIP file contains all the scripts above. This topic was modified 3 years, 8 months ago by Martin Roth. The scripts work well. I have it running on a Raspberry Pi 2 with no problems. I did need to tweak the “cut” commands as the JSON from my uRadmonitor has the detector type in position 3.